We are all in this together. We are a husband and wife team who share a love for unwanted, abused and neglected parrots. Steve and Sonya Brewer have set out to help all birds in need. 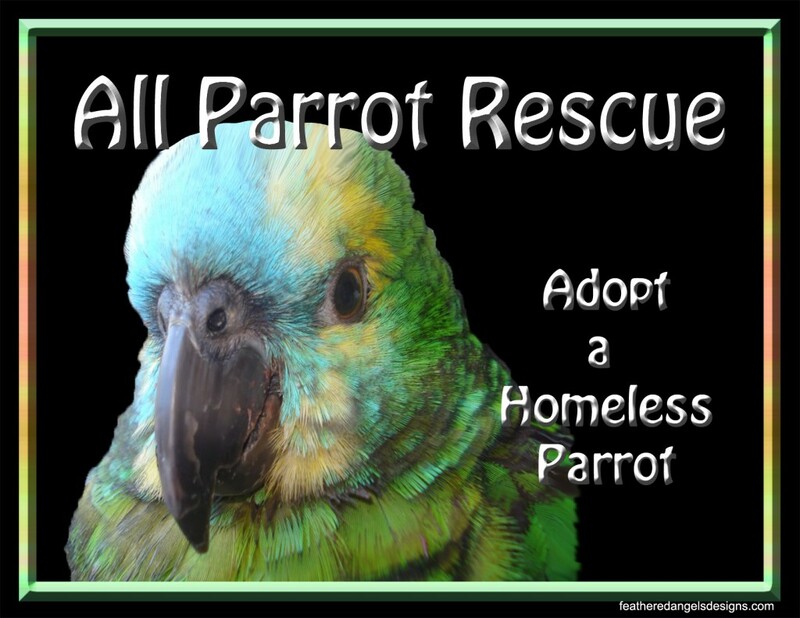 CLICK THE ALL PARROT RESCUE LOGO FOR MORE INFORMATION AND ITEMS NEEDED, INCLUDING SHIPPING ADDRESS AND EMAIL. MISSION STATEMENT Our ultimate mission is the care and proper handling of these wonderful creatures we call parrots. Our goal in every encounter is to ensure that each and every animal is receiving the best possible care. It is our goal and mission to provide rehabilitation for those birds who can no longer live with their "parront" owners. To rebuild their trust in humans and to know human interaction can be enjoyable with corrective behavioral training. Sometimes it is not always possible for a parrot to go into another home. Then it is with a heavy heart that we will transfer the parrot to a facility that can house and care for birds that can no longer be kept as pets. At this sanctuary they will be allowed to be the wild birds they truly are. As wild as they can be. WISH LIST: We use roudy bush CA. Volkman nuts and fruit, Zupreem, harrisons, any toys would be amazing. We are not particular, for we have variety of birds coming in. Hi! I found this great product at MY SAFE BIRD STORE, I thought you might be interested in it. Check it out! Notify me when All Parrot Rescue is in stock.